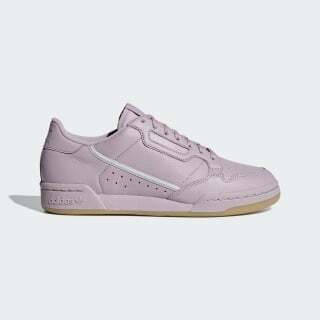 These low top shoes are inspired by indoor trainers from the early 1980s. They're made in super-soft full grain leather. A subtle two-tone stripe on the side and a logo window close to the laces offer a vintage vibe. The split rubber cupsole has an EVA insert for an extra flexible, comfortable feel.